Soar into unparalleled travels at Residence Inn New Orleans Metairie. 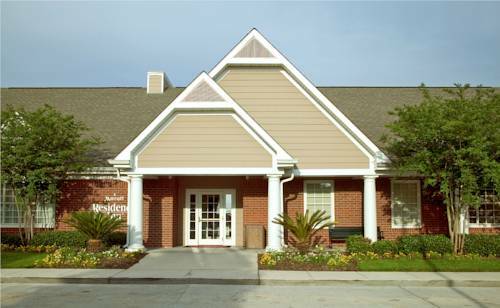 Our extended-stay hotel places you amidst a multitude of destinations such as the Mercedes-Benz Superdome, Lakeside Shopping Center and Ochsner Medical Center. Soak in the local culture, then rest up in our apartment-style suites. Feel at ease with our fully equipped kitchens, complimentary Wi-Fi and plush bedding. You can also spread out in our spacious living areas with your beloved pet. Kick-start your mornings at our free breakfast buffet, serving healthy and hearty options, then stop by The Residence Inn Mix in the evening for complimentary refreshments. Our fitness center and outdoor pool allow you to stay active. Switch up your exercise routine by playing basketball at our Sport Court . During downtime, spend time with family and friends at our outdoor patio with available grills. Whether you're visiting Louisiana for a weekend getaway or corporate trip, Residence Inn New Orleans Metairie transports you to relaxation. Jefferson Parish & Ochsner Medical Fac.